KARACHI: Even after Supreme Court-ordered mass anti-encroachment drive in Karachi’s Saddar area as well as other localities, there exist more than dozens of areas where encroachment still persists reportedly. 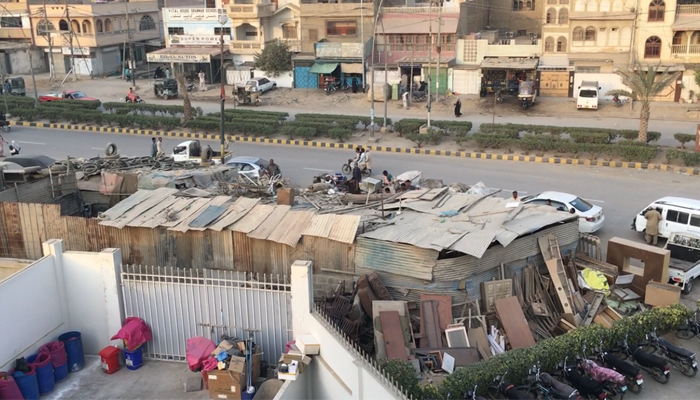 One such area is the Qalandaria Chowk in Karachi’s Central District where a charitable Blood Bank named Hussaini Blood Bank, Green Shield Public School and a Madrassah are at the risk of encroachers that hinder the routine life to a great extent. Dr Daraz stated that more than 1500 children suffering from blood disorders seek treatment daily at the blood bank. However, these encroachments create obstruction for them. Furthermore, 700 staff members who provide medical assistance to these patients also face problem while reaching the venue of the blood bank. According to Dr Daraz approaching an ambulance has also become very difficult for them at the hospital. Similar issue is being faced by the authorities of the school and the Madrassah. According to the authorities, the encroachment has made them almost impossible for them to use the main gate because of which students and the school staff are forced to use a small gate at the back of the premises that creates a massive traffic jam in the vicinity. 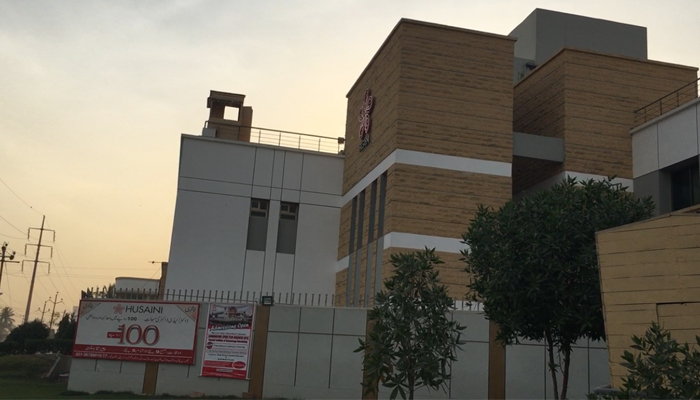 In light of the recent scenario, authorities of Hussaini Blood Bank, Green Shield Public School and the Madrassah have urged Karachi Metropolitan Authority (KMC) Municipals Authorities and Commissioner Karachi to address the issue and remove the encroachment in the area accordingly. Speaking on the matter with Geo News, Senior Director of Anti Encroachment KMC Bashir Siddiqui said that the authority will raze the encroachment as soon as it can. However, he did not mention a specific time period.